Unigma, a US-based managed infrastructure services provider, was in the market to develop a multi-tenant cloud management platform to unify and simplify its offerings for infrastructure management. 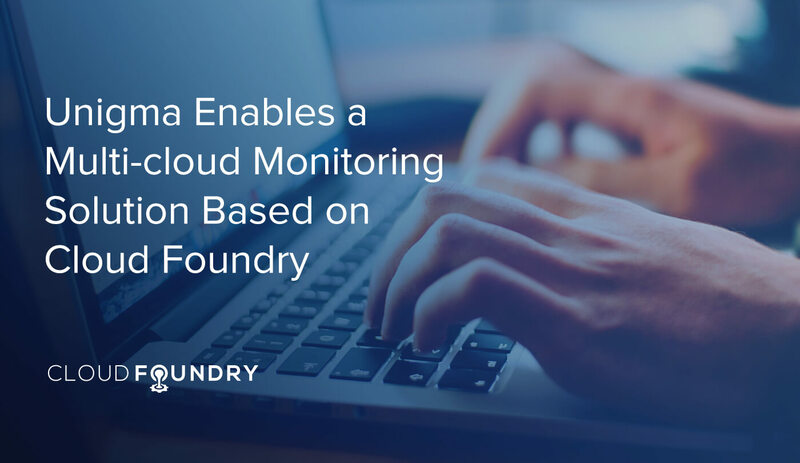 The company chose Altoros to work with IBM’s Cloud Foundry-based Bluemix platform. The result was a cost-effective system that accelerated cloud infrastructure management dramatically—by a 5x factor, while enabling the monitoring of multiple cloud infrastructures in a unified environment. The platform developed for Unigma relied on microservices and the 12-factor app paradigm, in which each component of the system is implemented as an independent, stateless service. In addition to deploying the Unigma application to IBM Bluemix using a Java buildpack, other services were put to use, including Compose for RabbitMQ, the ClearDB MySQL database, Payeezy, Single Sign-on, and Active Deploy. Learn why Unigma ultimately chose to work with IBM and Altoros after evaluating other platforms; how the Cloud Foundry-based solution enabled multi-cloud management; and more details about the solution in the Altoros case study: An MSP Provider Builds a Cross-IaaS Management Platform with IBM Bluemix.